If you’re looking for financial increase, then today’s podcast episode will not only inspire you, but it will get you thinking in the RIGHT direction. Have you ever noticed those people that just seem to have a knack for making money? You’re always struggling, but they’re always thriving? We’ve all ran across those people in our lives, and I’ve tapped into their secret. Listen to today’s episode and find out what they know, that you need to know about making money. Success! 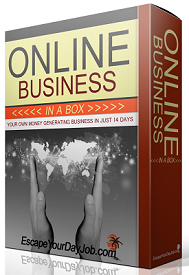 Now check your email and learn how to create a simple, online income! Although I never thought that those who are rich are lucky, I did think that they seemed to have connections that I didn’t at the time that helped move things along. I actually used to think the rich had more problems in life generally than those who weren’t due to the “competitive” mindset. But, now I see things differently. It’s good to really think of opportunity!